Ready for Christmas dinner? Hopefully you’re feeling the holiday cheer and excited to spend some quality time with your family this week! Still, if you’re in the middle of your weight loss journey with phentermine all of the holiday indulgences may seem more intimidating than inviting. Don’t stress! Here’s 10 tips to navigate your holiday parties with ease, plus some delicious recipe swaps for your dinner table. Whether you’re hosting or just bringing a side, everyone will love these healthy Christmas recipes! If you’re in a rush, check out our Christmas Tips Infographic here! While taking phentermine, it’s really important to stay hydrated. More, drinking water (and other calorie-free, caffeine-free beverages) supports weight loss. If you fill up on zero calorie fluids there’s not as much room in your stomach for calorie-laden foods. So, make an effort to constantly sip on water or unsweetened tea. Fat-free milk is also a great option for hydration when consumed in moderation. Christmas parties are full of delicious appetizers, savory snacks and delicious desserts. So, it’s easy to walk into the room and accidentally eat hundreds of calories without realizing. Instead, consciously decide to eat if you’re hungry, or stick to calorie-free beverages if you’re not. Sauces, crumbles, frostings and spreads are the hidden culprits of holiday meals. These toppings add lots of flavor, but they can also add tons of extra calories, fat, sugar and sodium to an otherwise-healthy plate. Choose wisely by minimizing your helpings of fatty spreads (like butter or cheese), gravy and frosting. Instead, go for small portions of jam or a light dusting of powdered sugar on your favorite treats. Not all holiday meals are unhealthy, This year, follow the MyPlate guidelines when serving your dinner plate. Fill half your plate with green salad and veggies, a quarter of the plate with protein and a quarter of the plate with grains or starchy vegetables. For example, a healthy Christmas dinner plate might include a quarter plate of green salad, a quarter plate of steamed green beans with almonds, a quarter plate of turkey (breast meat) and a dinner roll. Avoid the classic trap of loading up on meat and potatoes without leaving any room for nutritious (and low-calorie) veggies. Life is all about choices… and so is your holiday meal. If you say no to every special dish you’ll end-up feeling deprived and cheated out of the holiday cheer. Instead, choose one or two of your favorite flavors and wholeheartedly enjoy those, and then pass on the rest. Chances are you don’t really savor every single dish on the table, so instead save your calories and truly enjoy the appetizers, sides or deserts that matter most to you. Fiber and weight loss go together like peas and carrots. Fiber helps fill you up, keep you regular and control your blood sugar. So, munch on foods that contain lots of natural fiber this holiday season. Go for whole grain rolls, steamed vegetables, whole fruit, oatmeal cookies and beans when you have the chance. Lots of us were raised in the ‘clean plate club’ with parents constantly reminding us “you serve it, you eat it”. This is a great sentiment for reducing food waste, especially with young children, but it’s not so great for weight loss. Instead of clearing your plate on autopilot, make an effort to listen to your body’s hunger cues. Experts recommend that you only eat until you’re 80% full, and then let your brain catch up with your stomach. If this means leaving a little food on your plate, that’s okay! Either share your extras with a friend/family member, or put it away to eat later. No need to stuff yourself with those extra ten bites. This one relates closely to #5, but here I’m talking about sugar specifically. More and more research is emerging about the damaging effects of sugar on health, plus we already know that too much sugar leads to extra weight. So, choose your sweets wisely this holiday season. Pick one sweet per day to indulge, and then save any others for another day. Whether it’s candy from your stocking, cookies at the Christmas party, a slice of pie after dinner, or your favorite hot chocolate – enjoy your treat, but limit it to one per day. Alcohol and phentermine are a bad combination, so this year you have an extra reason to skip the boozy drinks. Plus, alcohol is loaded with calories that can’t be used for anything productive in your body. Instead,enjoy a festive, alcohol-free drink like sugar-free hot chocolate or the almond steamers below! Last but not least, don’t let the cold weather and festive atmosphere keep you from exercising! Make if a point to include some fun physical activity in your holiday routine this year. Whether it’s a walk through the neighborhood, ice skating, a Santa-themed 5K or sledding, it all counts as exercise and it all helps you reach your weight loss goals this holiday season. Holiday celebrations are centered around festive food and drink, but that doesn’t mean you have to abandon your healthy habits! If you’re in the mood to swap out a few of your family’s less healthy classics, check out the healthy Christmas recipe ideas below! Did you know that the average cup (8 ounces) of eggnog has 343 calories, 19 grams of fat and over 21 grams of sugar? That’s more calories and fat than a McDonalds cheeseburger. Instead, try an almond steamer this holiday season! Healthy Christmas Recipe: Pour 8oz of skim milk in a microwave-safe mug and heat for 2 minutes. Add 1 teaspoon of sugar-free almond syrup. Stir well, serve immediately. If you’re not a fan of almond, steamers are also delicious with vanilla, hazelnut or most other flavors of coffee-flavoring syrup! Soy or almond milk work great in this recipe too. Phentermine.com Pro Tip: If you love eggnog and just aren’t quite ready to give it up, search for a low-fat/non-fat version at your local supermarket. Or, if you’re a guest, cut your cup of traditional eggnog by mixing half eggnog and half skim milk. This dramatically reduces the number of calories, fat and sugar in your holiday drink. Mashed potatoes and gravy are a staple on almost every family’s holiday table. One cup of mashed potatoes plus a quarter cup of brown gravy can pack over 350 calories and 15 grams of fat. More worrisomely, traditional gravy is very high in sodium (think almost 500mg per serving). So, unless you’ve made a healthier gravy yourself, take it easy on this condiment to avoid unwanted bloating. If you’re hosting, go a step further and think about swapping traditional mashed potatoes and gravy for roasted potatoes with rosemary this year! Healthy Christmas Recipe: Preheat oven to 400°F (200°C). Wash and quarter about a pound of red potatoes. Toss them in a bowl with 1-2 tablespoons olive oil, ½ teaspoon of salt, 2-3 cloves of minced garlic and 4 teaspoons of dried rosemary. Add black pepper to taste. Once well mixed, dump potatoes onto an ungreased cookie sheet and distribute evenly. Put in oven and bake for 60-80 minutes, or until potatoes are cooked on the inside and crisp on the outside. Makes four small servings. 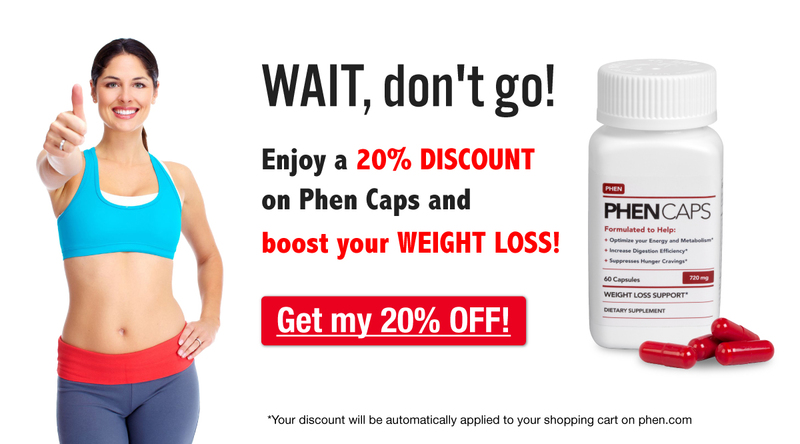 Phentermine.com Pro Tip: Remember to shake and flip the potatoes a couple of times while they’re roasting in the oven to promote even browning and prevent sticking. Pecan pie is a tasty dessert – both for Thanksgiving and Christmas – but it’s also loaded with calories and sugar. One slice (1/8th) of a pie has an average of 503 calories, 27 grams of fat and 64 grams of carbs (32 grams of which are sugar). That’s more calories than your turkey, mashed potatoes and gravy combined! Even more reason to fill-up on veggies at dinner and take it easy with the dessert later on. Or, eat a vegetable-based dessert and make a pumpkin pie this year! Preheat oven to 425°F (220°C). Combine 3/4 cup white sugar, 1/2 teaspoon salt, 1 teaspoon cinnamon, 1/2 teaspoon ground ginger and 1/4 teaspoon ground cloves in small bowl. Beat 2 eggs lightly in large bowl. Stir in 1 (15 ounce) can of pure pumpkin and sugar-spice mixture. Gradually stir in 1 (12 fluid ounce) can of evaporated milk. Pour into pie shell. Bake for 15 minutes. Reduce temperature to 350°F (175°C) and bake for 40 to 50 minutes or until knife inserted near center comes out clean. Cool on wire rack for 2 hours. Serve immediately or refrigerate. Phentermine.com Pro Tip: Don’t freeze the extra pumpkin pie – it will separate from the crust. Instead, refrigerate leftovers and eat within a week. Are you ready for your holiday celebration this year? Do you go all out, or try to make some healthy substitutions? Let us know in the comments section below!